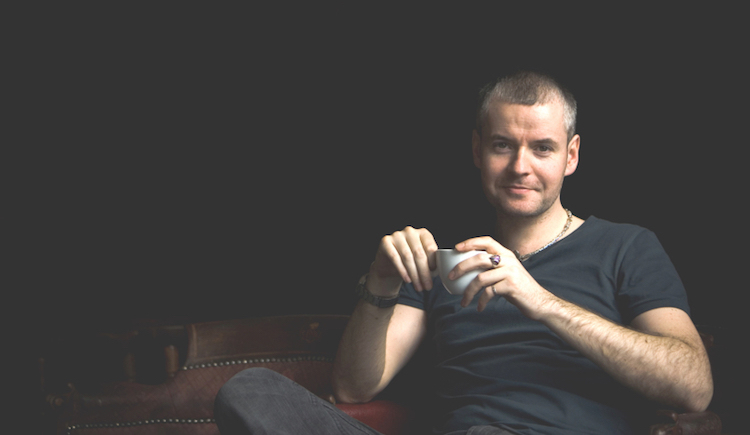 Katherine Clements talks to author Michael Stewart. Creating a fresh take on a much-loved classic is a challenge for any writer. The novels of the Brontës have inspired spin-offs, homages and countless pastiches, some more successful than others. Now adding to this oeuvre is Michael Stewart, whose novel Ill Will, the untold story of Heathcliff’s lost years, publishes this week. Set in 1780, when Emily Brontë’s infamous anti-hero leaves Wuthering Heights, Ill Will gives us a visceral, unswerving interpretation of what happens in the years that follow. Speaking to Stewart on the phone, I’m keen to congratulate him on the fearlessness with which he’s tackled one of literature’s iconic characters. It is, after all, a bold move. I’m unsurprised by this pragmatic attitude. Salford born and bred, currently based near Bradford, Stewart’s previous cross-genre work is mostly contemporary, much of it dealing with gritty modern themes, ‘not a million miles away’ from his personal experience. So why the move to historical fiction, and a work steeped in Gothic tradition? As for many writers of historical fiction, it was the gaps in the story that Stewart set out to fill, turning to historical fact to do so. The 1780s were a period of intense change in the North, the Industrial Revolution transforming the economy and the landscape. With so much history to decipher, how did he narrow down his focus? A rich canvas then, and Stewart clearly has a handle on the bigger picture, but which came first, Heathcliff’s backstory or the research? Stewart’s political awareness, and his desire to tell that working class story, comes through in the book. Told through Heathcliff’s eyes, the narrative doesn’t shy away from the grim realities of the age, made all the more shocking by the use of dark humour, a decidedly modern tone and dialogue that wouldn’t be out of place in a Ken Loach drama. ‘I didn’t want to write pastiche,’ Stewart explains. ‘At this point in history, to try and imitate something from the past would be a bad idea! But also, I wanted to try and restore the coarseness of Wuthering Heights. The book scandalized Victorian society. It was called savage, violent, and seen as an immoral book. We’re told by Joseph and Nelly that Heathcliff uses filthy language. Joseph washes his mouth out with lye. Emily couldn’t write those words because it was against the mores of the time and it wouldn’t have got published. But I can. It’s interesting that Shakespeare could use those words – words like the C word – and I can today, but Emily couldn’t. Talking of the C word, a few early reviewers have commented on the liberal use of profanities, especially on the tongue of Heathcliff’s young companion, a foul-mouthed orphan girl, more worldly than her years. She is, appropriately, named Emily. The Brontë Stones form part of the Brontë bicentenary celebrations; five years of exhibitions, projects and events led by the Brontë Parsonage Museum. The Charlotte stone has already been placed in Thornton, while Anne’s stone will be in the flower meadow behind the Haworth Parsonage where the siblings grew up. Anne is the only member of the family not buried in Haworth, and Stewart speaks movingly about his intention to symbolise a kind of homecoming. There will be a hidden stone too, appropriately representing their elusive, ill-fated brother, Branwell. And what of Emily? After spending so much time in the world of Wuthering Heights, what does Stewart make of her now? 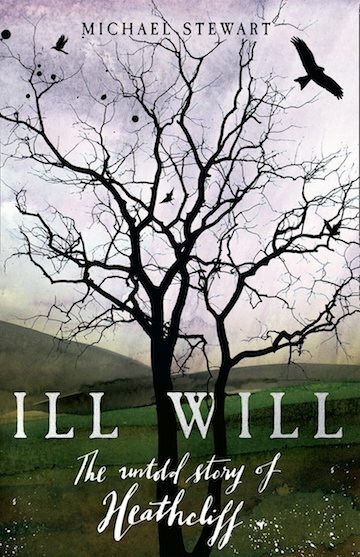 Ill Will is published on 22 March 2018. For more information about Michael Stewart and his work, visit his website or follow him on Twitter.